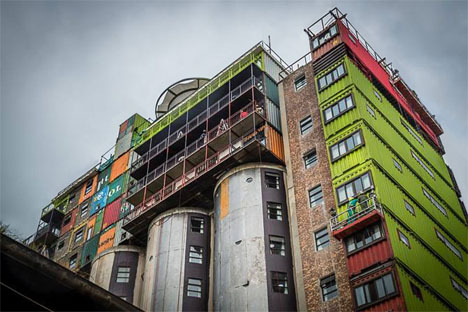 Disused grain silos long considered an eyesore in Johannesburg, South Africa are now topped with four layers of reclaimed shipping containers and almost ready to house hundreds of eager students. 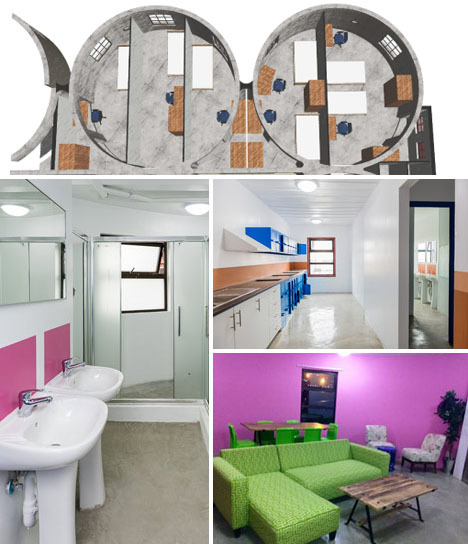 Mill Junction is an innovative housing project by Citiq Property Developers offering secure, comfortable, reasonably priced housing that could help raise the number of students who actually earn a degree. 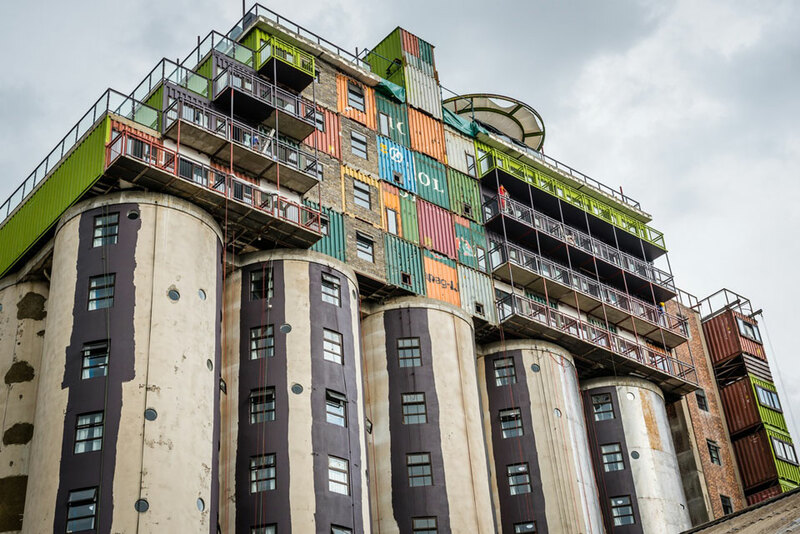 The 11-story grain silos make up the bulk of the complex, with many apartments contained within. 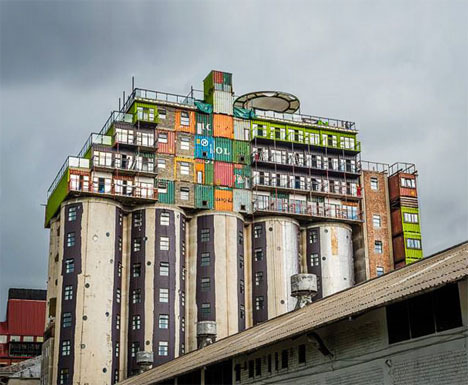 Windows have been cut into the silos and a paint job will help unify them with the colorful containers stacked on top. 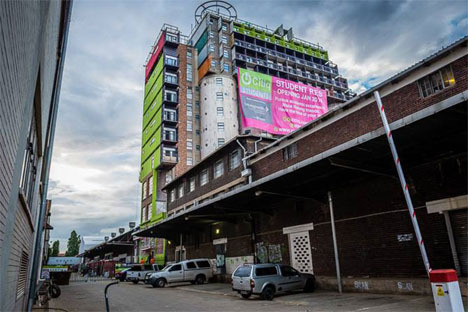 Mill Junction will contain 375 individual apartments as well as libraries, lounges, computer rooms and study facilities. 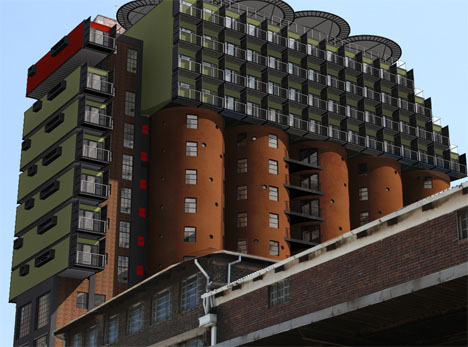 The height of the complex will give students some of the best views in the city, especially those lucky enough to get the shipping container units with balcony space. About half of South African undergraduate students drop out of school, partially due to the high cost of living. 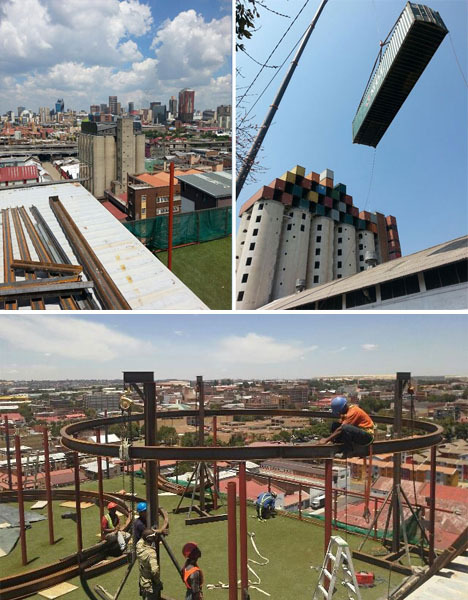 This project offers energy-efficient, low-cost accommodation with details like motion-sensor lighting and common green space on the roof. Construction was completed in January 2014 and students are expected to start moving in within weeks.